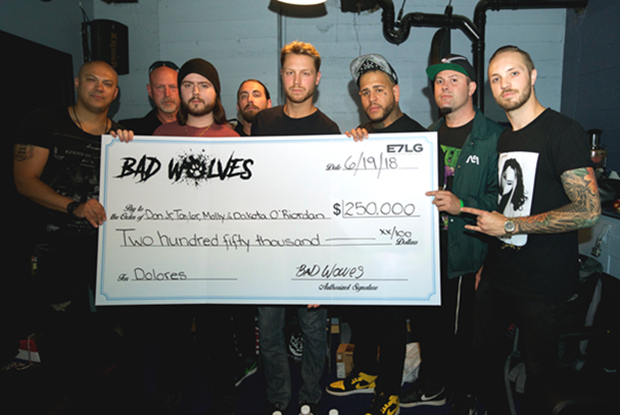 The family of the late Dolores O'Riordan were presented with a cheque for $250,000 (€215,000) last night by American heavy metal band Bad Wolves. The band pledged the proceeds of their cover of the hit Cranberries song 'Zombie' to the family, following her death in January of this year. O’Riordan’s two sons, Donny Jr. and Taylor Burton, alongside their father, Don Burton, were presented with the cheque on stage at New York City’s Gramercy Theatre last night, ahead of their performance of 'Zombie'. The cheque was also accepted on behalf of their younger sisters, Molly and Dakota Burton. 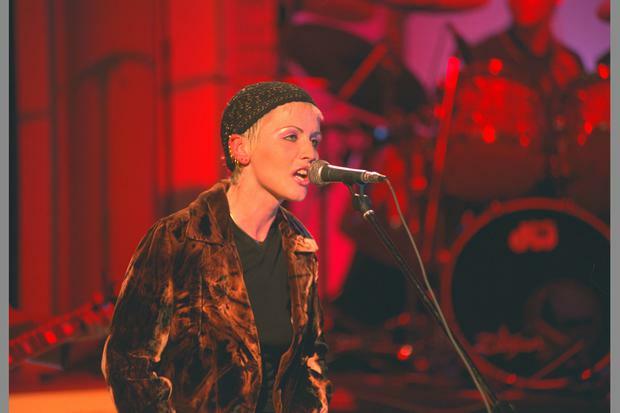 According to the band, O'Riordan was set to record vocals for the cover track on the day of her passing. They released the song as a single ahead of the release of their album 'Disobey' in memory of her. Bad Wolves frontman Tommy Vext said they were "grateful" to be able to donate the proceeds from the song to the family. "Our sadness the day Dolores passed was nothing compared to that of her children and her family. In light of the tragedy, donating our proceeds to her children was the only thing that made sense," he said. "The ultimate goal is to present them with a $1,000,000 cheque – and the fact we’re a quarter of the way there is beyond incredible. "The connection that people have to this song, the stories, the memories and the kids who are hearing this song through Bad Wolves for the first time - it’s a true testament to the timelessness of their mother’s songwriting that will live on forever, and we are so grateful to be able to do this for them." The cover has since been certified gold in the USA and Australia, as well as going platinum in Canada.